Lawn Care Academy was developed to offer helpful advice to all who have dreamed of having a great looking lawn or pasture. It is all here, from the proper way to do a soil test to developing a complete fertilization program. You will find everything you need to know to do it correctly and safely. A beautiful lawn is a work of art, a joy to look at, and a pleasure to play on. It increases your home's curb appeal and raises property values. Let's face it. Beautiful lawns have never occurred by accident. Nature alone can't produce quality lawns. In addition, turf faces many challenges from weedy grass types and excessive shade to poor soil. Maybe your past attempts at lawn improvement have not been very successful. Take heart, you are not alone. So whether you have zoysia grass or tall fescue, Centipede grass or Kentucky bluegrass, we have you covered. You will find more than just lawn information here. You can learn the latest techniques for caring for trees and shrubs too. Everything from how to plant a tree correctly, prune a young tree for sound structure, and treat insect and disease problems. Since starting this site we have gotten hundreds of calls from farmers and have included information on growing healthy pastures. We specialize in knowledge of soil chemistry, soil microbes and soil biology. Microbes are responsible for breaking down elements that become nutrients. Beneficial microbes can destroy pathogenic microbes. We will show you how to maintain your soil to promote the increase of beneficial microbes. If any of these sound familiar, don't worry. Lawn Care Academy was written for you. You will learn how to improve and care for your lawn from the soil up. Think of it as the homeowner's version of Turf Science 101. With the current environmental concerns, lawn care is becoming more environmentally friendly. 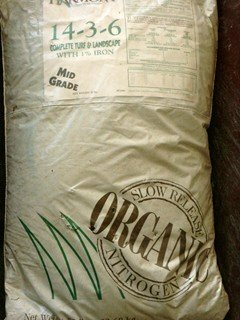 Organic and organic/synthetic blends as well as biostimulants are getting more attention. As a result, more products are being made available to the public. This is good because organic matter is an essential element in healthy lawns. It restores the beneficial microorganisms in soil that is necessary for plant life. You can learn what products are available, their benefits and limitations and the best ways to use them. We hope you enjoy searching through the site. We are working hard to provide you with as much useful information as necessary to accomplish all your lawn care goals. Your success is our success. Before you begin, it is important to review as much information as you can. The more knowledge you have means better results and a healthier lawn. Enjoy the site and come back often. We will always be here. is Your Gateway To A Great Looking Lawn. Lawn Care Academy's Sitemap makes finding information painless. All our pages are listed for easy access. Lawn Care Academy Blog offers tips and trends for every season. Zoysia, fescue, organic lawn care, fertilizers, hayfields, pastures and more. All grass types will be either a warm season and cool season grass. Find out which one is best where you live. Cool season grass is a term given to various grasses that grow best in the cooler areas of the country. Each grass has unique qualities and preferred zones of adaptation. Warm season grass is the name given to a number of grass species that thrive best in warmer climates. The most popular U.S species is Bermuda grass with zoysia grass coming in second. The practice of overseeding lawns is essential for maintaining your lawn’s long-term health and vibrancy. Yet it still remains one of the most overlooked disciplines by homeowners. Lawn care myths abound in our culture. These errors can cost homeowners money and even harm your plants. Find out what they are and the solution to them. 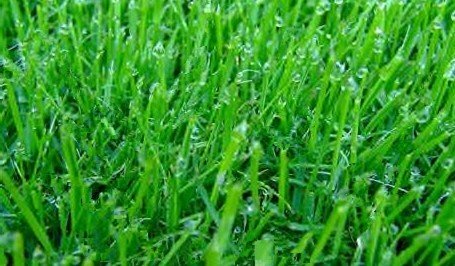 Understanding lawn fertilizer is a necessary part of lawn maintenance. The numbers on the bag represent the amount of nutrients the bag contains by weight. Soil microorganisms are one of the most important elements of a healthy soil. A good lawn care program will use the many benefits of soil microbes. Soil testing methods vary considerably. However, it is the results that are most important. It all begins with proper soil collection and then understanding lab analysis results. Annual grassy weeds are some of the more frustrating lawn weeds homeowners will encounter. Germination should be prevented or they become very difficult to control. Herbicides, when used properly, can be an important part of the weed solution. It is extremely important that you are familiar with basic safe handling practices. There are many chemical herbicides labeled for home use. Most are very safe when used correctly. Find the best products and how to use the safely. Noxious plants are those that harm harm agricultural lands, displace native plants, clog waterways, and resist chemical control. Find weed images and latest control methods. Grass diseases can devastate a lawn. Knowledge of how they develop combined with using cultural practices that discourage them will go a long way in preventing diseases. Turf pests, such as insects as well as small animals that dig for insects, can quickly damage your lawn. Knowledge is your first defense against these pests. Unfortunately, lawn fungicides are occasionally necessary. However, to best control the disease, it is important to understand how they work. Understanding the reasons for preemergent failure and how to solve the problem. Pythium Blight is a disease of water-soaked lawn and too much fertilizer. See how to prevent it. Agri-Cal Liquid Calcium delivers immediately available calcium while making unavailable calcium available for plants. Soil organic matter is the barometer for soil health for pastures and turf. Find out how to improve your pastures. Beneficial microorganisms in soil are key to plant life. Find out what types of microorganisms are in soil and how to increase them. There are many calcium chloride uses, but many myths about the product are abundant. See the myth busting facts. In this Bill Bader interview, I discuss his 20 plus years of using AgriGro Biostimulants on his farm. Bill owns the largest peach orchard in the Mid-West. Orchard mason bees are native bees and super incredible pollinators. Find out how to attract this friendly bee to your garden. A detailed look at the various types of mason bee houses. Harvesting mason bee cocoons is one of the best things you can do for them. Find out why it is so important to the health and life of your bees. See how we are researching native bees in the Missouri Ozarks and learn how to do this on your property. Small flower gardens can add beauty, color, and style to your lawn and home. All it takes is a bit of imagination to create your own personal oasis. Water garden ponds or streams are transforming lawns into backyard sanctuaries. Find information for all aspects of building and maintaining garden ponds. Outdoor grill ideas to the rescue. Check out this handy guide for choosing the right grill based on your personal tastes. Lawn Care Academy also offers total tree care tips for the home landscape. You will find simple tips and instructions to feed and care for your trees and shrubs. Following good tree planting instructions will get your tree off to a great start. Our tree drawings show how easy it is to prune a young shade tree for sound structure. See how to develop a dominate leader and a strong trunk. Lawn Care Academy is proud to offer these excellent lawn care products. Beautiful lawns do not occur by accident and our top quality products will keep them looking their best. Here are some original Agrigro test results from the 80's and 90's not seen anywhere else. Agrigro's, all natural bio stimulants have been extensively tested and documented around the world. AgriGro is astounding! See how AgriGro works to know why it is changing our view of turf management. 5 Star® grass seed Blend of Turf-Type Tall Fescue contains 5 top performing fescue varieties for a dark green lawn. The Chapin Hose End Sprayer is the easiest way to spray liquid biostimulants, lawn fertilizers and pesticides. Infrared laser temperature guns instantly reads the surface temperature of any item. Tiger Bloom is a powerful fertilizer to maximize buds and blossoms for a better harvest. New businesses have a lot of challenges with pricing a job being one. Find some advice you may not have considered. The Lawn Care Professional - Dealing with lowball offers and the cost of giving price quotes. To charge for estimates or not. See how easy it is to grow amazing turf. This video documents how well AgriGro Turf Formula really works. What does kayak fishing and lawn care have in common? Absolutely nothing! That is why it is my escape and can be your too! Read our top lawn care questions submitted by visitors plus my detailed answers. These pages are an excellent resource for lawn and tree care information. Please use this contact page to reach us. We are eager to hear from you and any comments you may have. This form discourages spam, while inviting legitimate readers to respond. If you have found this site helpful, please share this site with others. We have provided a code to make it easier. Lawn Care Academy legal information. Lawn Care Academy's About Us page. Having learned the turf/arboriculturel business from the ground up, I am thrilled to share that knowledge with you. If we have helped you, please donate any amount to help keep Lawn Care Academy online and reaching more people..
Two Ways to Reach Us! Computer or Mobile Phone! For over 30 years, these amazing Prebiotics have been used on farms, orchards, golf courses, home lawns, and in 49 countries around the world. See our full selection of AgriGro Prebiotics and see for yourself. "I turned to you several times before this year for advice about control of Nutsedge, Bermuda grass and the difficulty we have here in S. C. growing fescue lawns. In each case, you provided the best advice I have heard or seen in my 33 years in lawn care. Thanks again!" I have dealt with the public for seventy years, and you my friend are the very best. "Can't thank you enough for the wealth of information you've generated. I've put together my plan for my lawn care/fertilizing for this year based on what I think I've absorbed from your site. You have explained so much and when the soil sample information comes back I have a better understanding of what it entails."